Please Cease and Desist use of this trademark. Or something...bad..will happen. I think. He's alright. But a Satanic falsetto lead singer of a band? C'mon... Maybe he cut his nutts off to sing that way. He's p. unique. Also have you gotten mailed by InXile yet? I just want you to know that I think you are a strong, brave and independent transposter for what you did. I am looking at the future of gaming. You guys are going to force me to upgrade again, aren't you? Former Zed, you might need to bitchslap the character who swiped your alias before the situation escalates! AW8 and Bumvelcrow brofisted this. AW8 and Tacgnol brofisted this. Super psyched for this. Autoburen: Demon's Duel was a masterpiece, but I think you can top it. Chopland: The Forge was pretty good as well. It had a lot of connections to Wasteland. Do you accept pre-orders? 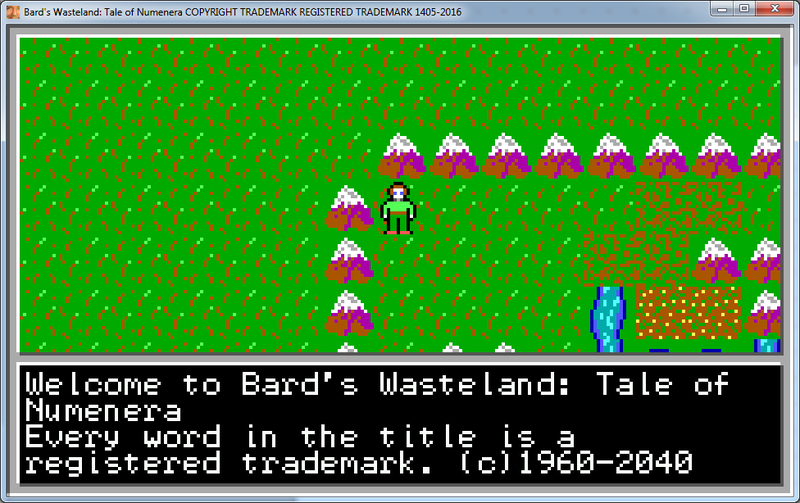 I loved The Bard's Torment: Tides of Wasteland. Bard's Tale: Wasteland 3 Torment is coming at you in just a few days!!! Scrooge, KodexKommieKomrade and LeStryfe79 brofisted this. Not enough bloom. And where's my damned horse armor? good question. where is it? MrRichard999 and LeStryfe79 brofisted this. What is your inspiration for the combat mechanics anyway? When you've got movies like Tom Cruise in them – you can't go wrong! One or two seem to find their way into my house almost every day. Delterius and Night Goat brofisted this. started a new game of BG2, the only game worth replaying every 2nd year or so. Lhynn and Lambchop19 brofisted this. of course not the enhanced edition. regular BG2+TOB, no mods. bonescraper and Night Goat brofisted this. alkeides 2.0 and Delterius brofisted this. Scrooge, Quatlo and Dreaad brofisted this.